Backyard weddings are always some of the sweetest and most heartfelt ceremonies. 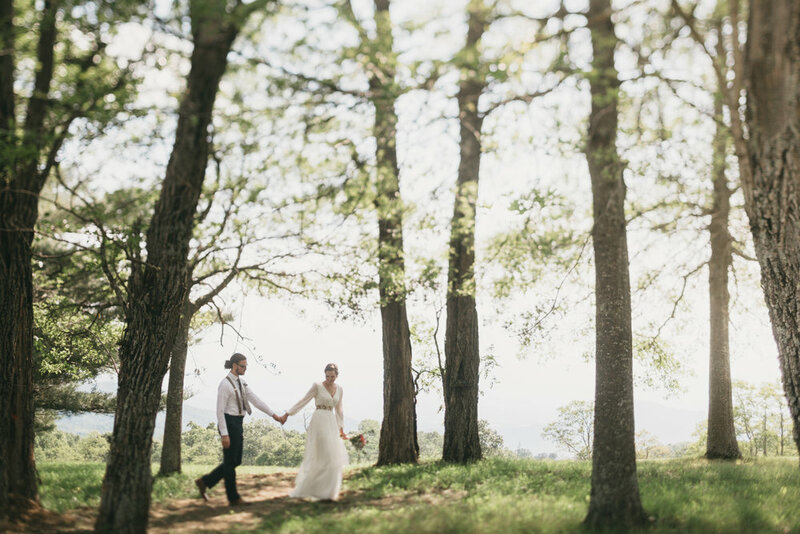 There's something special about keeping everything small and intimate, and this day was no exception. Their minister passed around a handmade box holding Sarah and Chase's new rings before exchanging vows. Each guest held it close and tightly, and sincerely considered their wish for the couple as they start this new adventure. Every day ask yourself what you can do to make your spouse happy they married you. Be their person. Their soft place to land when they've had a hard day. Don't call me. Don't call your friends. Lean on each other. And lastly, laugh. You have such a good laugh! Laugh every single day, as much as you possibly can.